When you want to feel good deep in your soul, you can use some inner peace meditation techniques. When we meditate, inner peace comes freely, and we return to a statue of pure equanimity (calmness). Inner peace means no longer fighting with the universe or with yourself. Inner peace means feelings relaxed and serene. Advanced meditators will already know the effect of meditation on inner peace. When you meditate you relax deeply, and you learn to let go of what’s in your mind. This starts you down the path to enlightenment and helps you to become a free spirited person. This is something I learned for myself a few years ago. Though I’ve always been a pacifist, for a long time I struggled with anger management issues (not to the point of needing an anger management therapist or anything like that, just the regular hot-headedness, you know?). I’d been brought up in a home with lots of arguing. There was literally always arguing at home. Arguing became a way of life. I would argue everyday, hardly even aware of the fact that I was doing it. Then I happened upon a book called Awakening The Buddha Within. It’s an amazing book about meditation and inner peace. Though I doubted it would work for me, I tried using mindfulness meditation for inner peace. You know what? The first time I ever meditated I did it for six hours straight. And I learned that meditation and inner peace go hand-in hand. In my opinion there is no better way to feel inner peace than with meditation. 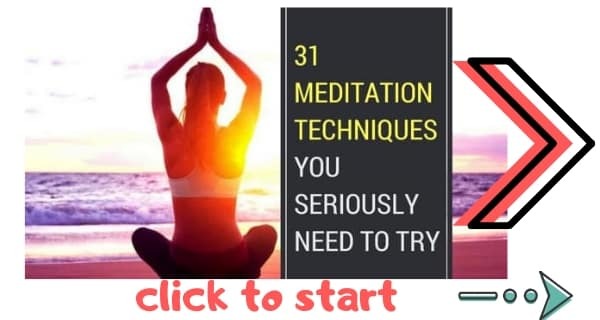 Let me show you how you too can use meditation for inner peace. There are more than 100 health benefits of meditation. One of those benefits is the fact that meditation makes you feel peaceful. When you practice meditation, inner peace starts to come to you, from within. Your thoughts, fears, doubts and anger are quelled. You let go. You embrace the moment. You live in a state of pure peace and tranquility. You find peace of mind and tranquility. It is quite impossible to describe the feeling of mindfulness in words. Here’s how you can use meditation for inner peace right now in just a few minutes. Millions of people find inner peace using breathing meditations and exercises like Aikido. An alternative is to use my cold-hands techniques. It’s a simple trick, and it is one of the bet inner-peace meditation techniques. You will need an ice cube. This technique is an excellent way of cooling your mood and relaxing your mind. Another great way to produce inner peace is by using the Apan mudra. Mudras and kriyas are hand and body positions used in Buddhism, Hinduism and yoga. For instance, the “prayer gesture’ is one example of a mudra. Different mudras create different psychological, physiological and spiritual effects in the body. The Apan mudra is the best mudra or inner peace. Take a look at the link above to learn more about it. Then there are alternative methods like meditating on Tantric gods. With the inner peace meditation techniques above you will start to feel peaceful within yourself. But maintaining inner peace can be hard. As easily as we can make ourselves feel good, it is doubly easy to make ourselves feel bad. Problem is, there are simply too many sources of stress, too many negatives that sap-away at our minds. So even though you’ve used meditation for inner peace, you may lose that feeling quite quickly (especially if the kids are yelling or your work life is a grind). You feel stressed so you take a break. After 20 minutes, you feel good. You carry on with your day. As you go about your day you gradually get warn down until you lose your inner peace. Then you’re stressed either permanently or until you take another break. So how do you keep feeling inner peace after meditating? After you have used meditation for inner peace, try slowing down. To make sure your meditation for inner peace works, you need to guard your mind. Because inner peace lives in the mind, but is forced out by negative external influences (like your ex). Reality enters the mind by way of the senses. Sight, smell, tasty, sound, touch. Through these senses the outside world enters us and comes into contact with the mind. Once the world enters the mind, it influences our thoughts and emotions. A loud voice makes us anxious. A bang gets the heart racing. Bad news makes us sad. Those feelings of anxiety then affect us inwardly. We start to think and feel differently. And this is why even though you’ve used meditation for inner peace, you might quickly lose the feeling. Once we are thinking and feeling differently, we change our actions. Because we’re feeling anxious, we are unable to focus and so are unproductive. We may even act in negative ways. And when we act in negative ways, we produce negative results that make us feel worse. This becomes a vicious cycle. The problem here is that everything influences everything else. A negative thought produces a negative feeling. A negative feeling produces a negative action. Negative results lead to negative thoughts. You need to stop this perpetual cycle of negativity. 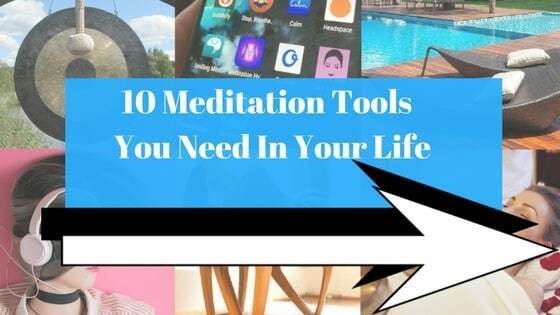 So here are 10 ways to take your inner peace meditation further. We can learn to tune out noise. And this is one way to massively improve inner peace. Meditation actually helps train the mind to ignore noise. Sounds can be the source of a great deal of stress. A raised voice can immediately create tension, a tightening of the chest, and short breath. This is because when we hear certain sounds we allow our minds to run wild. Instead of just saying that’s a sound we imagine all sorts of things, which produces stress. Hear a sound for what it is. When hearing a stressful sound think, “It’s just a sound” and meditate on the pure energy of the sound. For a great sound-meditation for inner peace, listen to a Tibetan Singing Bowl. Vision is the sense we pay most attention to. And it robs us of our inner peace. Even seeing one single angry face can have a profound effect on our moods. Your eyes will deceive you. Do not trust them. Touch can be a source of many distractions. Even a little itch can drive some people wild. Be mindful of the feeling of touch, but don’t let the feeling of touch effect your mind. For many people, tastes can cause great distress. That’s partly because tastes can indicate something wrong with the body. And we all know what it feels like to be distracted by a yucky flavor. When you’re distracted by a taste, meditate on it and remind yourself that it is just a taste and does not mean anything. Scent is one of the most emotionally provocative senses of all. Scents bring up memories. And memories can lead to all manner of emotions. I personally practice aromatherapy a lot because I absolutely love different scents. But sometimes, scents are unwanted, and can stir-up painful memories. This happens because we allow the scents to immediately affect the mind. When we stop and mindfully say, “That’s just a scent” we prevent the scent from interfering with the mind. Our guide to tutorial on stopping negative thought depression gets read a lot. Negative thoughts are on of the main reasons people do not feel inner peace. This is actually another reason why you should use meditation for inner peace. Because it makes thoughts less intrusive. Buddha said that our thoughts hurt us more than anything. And anyone who has ever suffered from depression knows how true that is (me, for one). The entire problem with thoughts is that we place too much value in them. We assume that thoughts must be true (which is rarely the case). When we think negatively we assume we must be feeling down. When we think bad thoughts about other people we think we must be bad people. The moment we remember that a thought is just a thought and nothing more we gain control. The key to thoughts is to not allow them to influence anything else. Let a thought be a thought. Do not let it become a feeling, a belief, or an action. Another way to use meditation for inner peace is with mindfulness of feelings. Lao Tzu said that, “New beginnings are often disguised as painful feelings. Feelings work like wordless thoughts. When most people feel an emotion, they assume there must be a reason for it. They then start to look for the reason for it. That means they are intentionally bring up negative thoughts in order to justify a negative feeling. And those negative thoughts and feelings soon enough lead to negative actions. Remember that A feeling is just a feeling. Let the feeling be a feeling. Nothing more. Say, “This is just a feeling”. Do not let it become something more. In our article on the power of the subconscious mind, we discussed how powerful imagination is. Einstein said imagination is the preview of life’s coming attractions. Einstein proved himself wrong when he failed to see that his imaginations would lead to the coming attraction of war. But that’s for another article. Imaginations can cause a great deal of suffering. Because when we imagine things we tend to sink into those imaginings. The mind momentarily slips into the alternative reality of our imagination. And that can cause pain or pleasure or anywhere in between. Train your imagination so that you can use it in positive ways instead. We feel anxious: our chests tighten. These physical sensations are incredibly influential on our minds. We have learned from birth to associate certain physical sensations with certain emotions, such as when we associate anger with a clenched fist. Because we have learned this, a physical sensation can very quickly cause an emotion. And it needn’t. When we feel a physical sensation we should remind ourselves that it is just a physical sensation and that it does not signify anything. When we do this we stop those physical sensations from becoming emotions. Take a look at these examples of negative self talk. Self talk can massively influence every other part of the mind. 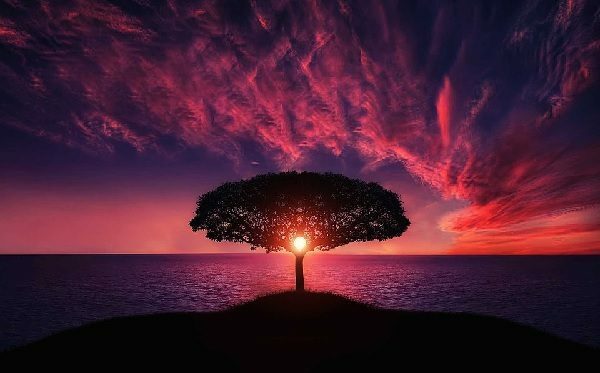 When we tell ourselves we’re amazing, we will naturally respond by standing tall, thinking positively, feeling confidence, and acting in confident ways. And all because of positive self talk. When our self talk is negative we can suffer terrible consequences. We can take control of self talk and either intentionally be positive or simply not engage in self talk at all. Most self help gurus would advocate the former. Buddhist monks would advocate the latter. Either way, when we remember that we are creating our self talk we remember that we can change it. We then have power over our self talk, and can use it to our benefit. The mind should balance in the restful space between the senses. There it can stay pure and untouched, calm and with equanimity. Then we will enjoy sustainable inner peace. 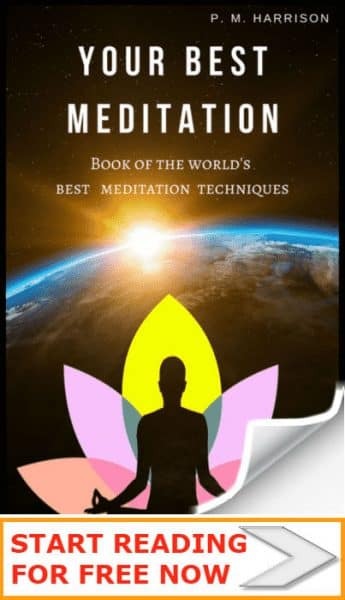 With the tips and above, and the aforementioned meditations for inner peace, you will be able to feel inwardly peaceful even in moments of stress.